Ensuring the safety of students, faculty, and visitors is no longer possible with untrained guards, teachers, and an assortment of volunteer hallway monitors and event chaperones. These minimum security measures are no longer enough to keep people safe in an emergency or crisis. Even highly publicized shootings within schools have become commonplace, making campus security more challenging than ever before. Your students and faculty deserve to learn and work in a safe and secure environment. It’s also vital that you make every effort to minimize your risk and liability in the face of these ever-present dangers. Fortunately, the security professionals at Echelon Protection & Surveillance are fully equipped to help you develop a sustainable and affordable solution to making your campus, school, or university safe and secure. There are a number of protocols we can employ at your learning institution designed to deter criminal activity and violence before it manifests itself and grows out of control. First and foremost, we can supply your campus with state and federally certified security guards with many years of experience working with schools. Additionally, we supply the equipment, technology, and personal supervision to support our officers, including officer reporting and monitoring software that keeps all stakeholders informed 24/7. If an incident or crisis arises, you can be confident that your security staff has the training and vigilance required to problem solve and respond in the most appropriate way. This is the key distinction of professional security guards, because reducing risk and liability requires special training, experience, and vigilance to respond appropriately. Our security guards will operate in tandem with your own school personnel, including the Principle, School Resource Officer, Athletic Director, Disciplinarian, or in-school security team. Our experienced school security guards are highly-trained, thoroughly vetted, and possess the clearances and certifications that make them the Number One choice of educational facilities in the region. 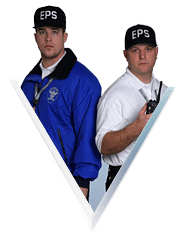 Why Should You Hire Professional Security Personnel for Your School or Campus? While the national debate continues on the best way to protect students and faculty on a school campus, hiring professional guards is undeniably the most cost-effective and easiest to implement. Professional security personnel ultimately benefit your school and campus in a variety of ways. Control Access and Emergency Response for Private, Public, and Religious Schools and Facilities- Who controls access to your school campus and buildings, and who responds when that security is breached? To place this responsibility on untrained employees of the school not only increases risk and liability, but could also lead to serious problems if lapses of policy and attention become commonplace. A professional security officer can monitor school entrances physically, or via surveillance camera, if there are multiple entry points that need monitoring. Not only are unwelcome individuals prevented from entering the school, but contraband and weapons become far more difficult to bring onto campus. If a threat arises, your professional security team can lead a school evacuation or lockdown. They are also trained to de-escalate problem situations and maintain a close working relationship with local police to assist if an emergency or crisis arises. Students and Faculty Feel Safer – Our certified security guards are more than just a deterrent or presence in a uniform – they are professional and approachable goodwill builders and problem solvers with extensive real-world school experience. Our school security guard possess specialized training to aid them in working with young people, allowing them to become an integrated and trusted part of your educational environment. Reduction of Risk and Liability – Our guards are capable leaders that can do far more than just protect your faculty and students from hazardous situations and people. They can help you better develop fire, crisis, and disaster response, assist in regulating campus traffic, and even step in as a person of authority when students exhibit unwanted or illegal behavior. This adds real value to your campus security investment, because risk and liability are reduced in variety of different ways, allowing your school campus to run smoother overall. Professional Security from Echelon is an Affordable Solution – The cost of your professional security team will vary depending on the size of your school but it is surprisingly affordable, especially when compared to recruiting and training your own team of officers. In one short meeting, our experts can assess your security requirements and provide you with a written strategic security plan that fits your budget. School security has never been as important as it is today. A safe school environment is dependent upon a comprehensive and strategic security plan that keeps your faculty, students, and visitors feeling safe and protected. The security experts at Echelon are ready to help you customize a plan that fully realizes your specific needs. Simply contact us for a free consultation and we will develop an affordable security solution that provides peace of mind. Proactive and practical decision makers responsible for school security understand that safety is integral to the learning process.